Palestinian Christian Bible Scholar, Yohanna Katanacho, spoke at Catalyst Live, Reading, UK 2013. Today is the 1948 anniversary of Israeli independence and the Palestinian nakba (catastrophe). Loving enemies is still the best way to make friends. Pray for Israelis and the Palestinians. It is, if I may be frank, quite pathetic that the spurious charge of a myth should so perpetuate itself. In fact, it is nothing other than Girardian scapegoating on an industrial scale. If you can convince a person or group that another person or group is somehow less than deserving, less human, less, just less….less…..less….in whatever way is chosen, it stands to reason you can do anything to them. 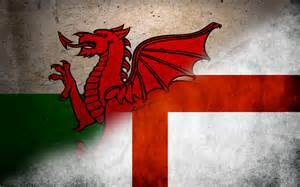 and the English built a wall between England and Wales? and stopped you from going to England, even to a nearby hospital? and joined their towns with roads that only they could use? made it almost impossible for you to build houses in your country, and destroyed houses already there that they said were illegal? Suppose the English did all this and forced it on you by military force, what would you feel then? It would be so unjust. So how do you think the Palestinians feel? This scenario is suggested by Friends of Sabeel UK, and describes the situation using England/Wales instead of Israel/Palestine. The feelings expressed here are a natural consequence of colonization and occupation. This describes a present Palestinian reality, and it can be traced back to the 19th century political ideology and aspiration of European, secular Jews, that found expression in the events of May 15th 1948. In a ‘meeting of ministers’ just before the British general election, the Foreign Secretary Philip Hammond, answered my question about this intractible problem. Although he answered very well and showed knoweldge and integrity, he did admit to me that this one issue is the single biggest problem he faces. This is the Day Israel celebrates as Independence, and the Palestinian Muslims and Christians as ‘Al-Nakba’ or catastrophe. The whole world needs to turn this event from a catastrophe to a eucatastrophe, and in this regard, the Church, with her Resurrected Lord, must be at the forefront of this, instead of the eschatological horror show that is Christian Zionism. “The Anglo-American Protestant tradition of Judeo-centric prophecy interpretation was from its inception a political theology. The tradition openly constructed friends (Jews) as well as enemies (Muslims and Roman Catholics), while cultivating occidentocentric discources that discounted Eastern Christians. 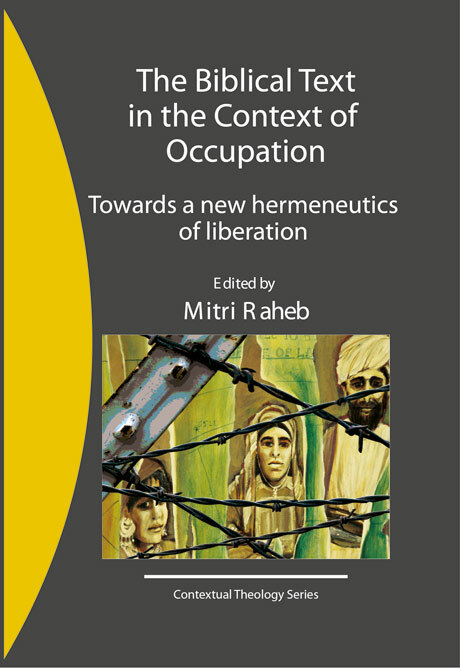 These constructions are manifested in contemporary discourses surrounding the Israeli-Palestinian conflict which cast Jews within eschatological dramas while demonizing Muslims and casting aspersions on Christians who are Palestinian or sympathetic to the Palestinian national cause. 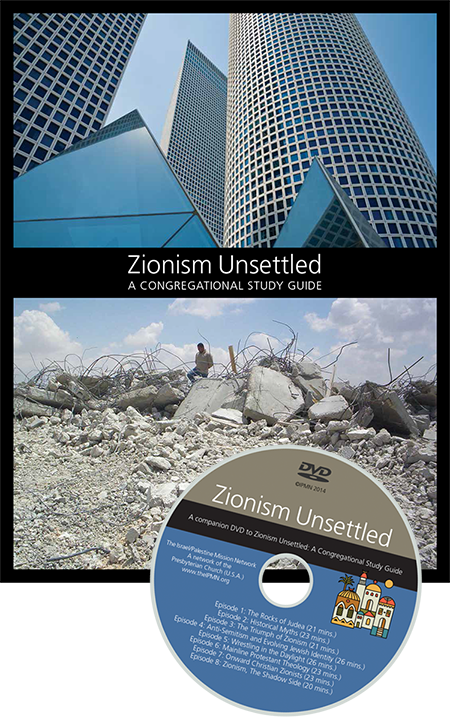 Zionism Unsettled produced by Israel/Palestine Mission Network of the Presbyterian Church (USA) (website here), released one year ago in January 2014, is a great resource for Churches working towards a more healthy and hopeful understanding of the terrible situation between Israelis and Palestinians. PDF flyer here. 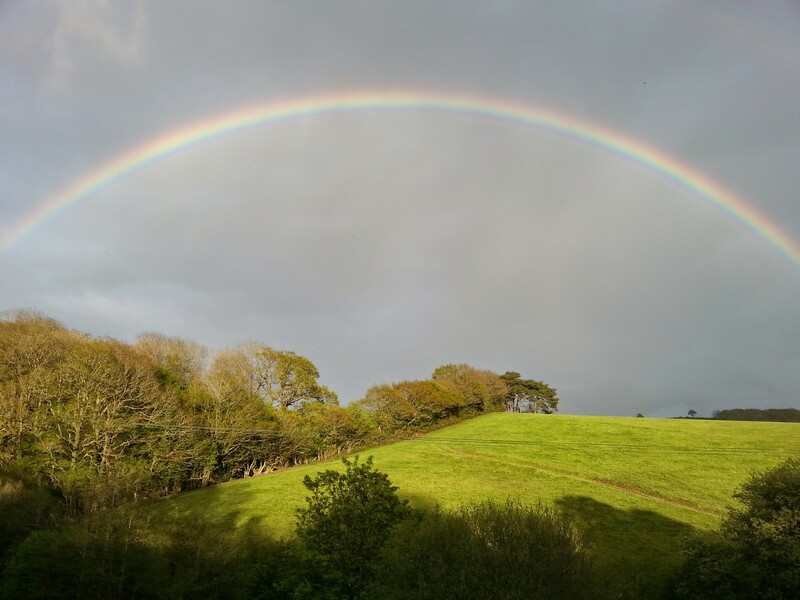 The video production links are given below, and in the space given to each video, approximately twenty minutes each, they really are a succint and helpful introduction, something I would commend to followers of Jesus in the Churches everywhere. Similarly, Ilan Pappe, Israeli Professor of History at Exeter University, England, is a contributor on one of the productions. Pappe has contributed to a critique of the Zionist ideology through many articles and books over many years, and has paid a high price for his convictions. “It raises issues that are considered taboo in the Church and takes us into perilous academic ‘no-fly zones’. But intellectual honesty requires no less” (emphasis mine) p.145. Well, I love Jewish people, secular or religious. I love the ancient biblical land of Israel/Palestine. I love Palestinians, Muslim or Christian. 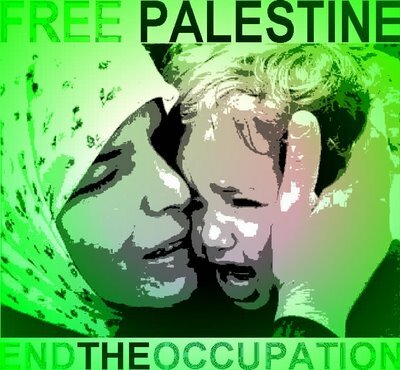 I do not love or like Zionism, an experimental ideology that has been weighed and found wanting, and in the process, ruined generations of lives. It is not just intellectual honesty that requires this terrible system of oppression and de-humanising be confronted, but it is moral courage in the face of occupation and conquest that must also drive forward this conflict to peaceful conclusions. Jesus says…. V’s Christian Zionism says….